Project Manager, Project Management, All Melbourne VIC, Varley Rafael Australia Pty Ltd (VRA) is seeking a Project Manager – Defence Systems, The Project Manager shall lead complex systems integration, introduction into service and in service support activities. 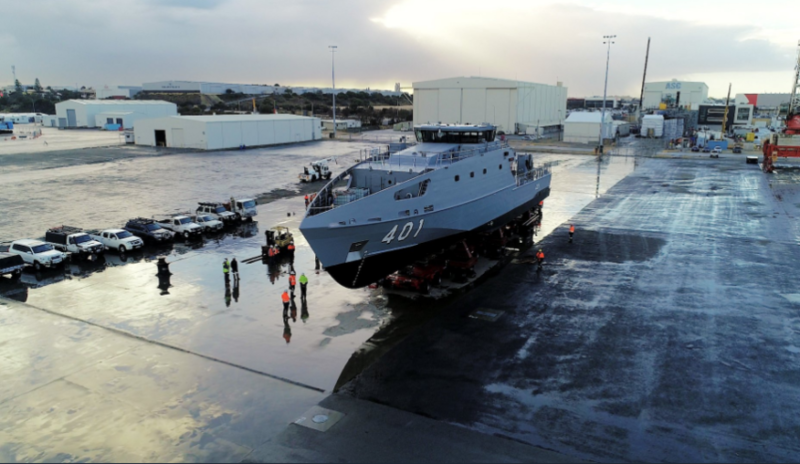 Western Australia-based shipbuilder Austal has announced stronger than expected revenue growth on the back of continued success across the company’s global subsidiaries. Austal previously indicated that it expected FY2019 group revenue of $1.3 to $1.4 billion. Following preparation of the draft FY2019 H1 accounts, including updated forecasts from the USA, the company now expects FY2019 revenue of approximately $1.9 billion (assuming that the USD-AUD exchange rate continues at the current level). The incremental revenue is distributed over a number of different contracts with varying EBIT margins. In addition, Austal’s policy is to recognise profit at a lower level in the early stages of procurement and production for new vessel designs or existing designs that are undergoing material modifications or upgrades, particularly the Littoral Combat Ships and Expeditionary Fast Transport programs with the US Navy. The company is perhaps best known for its high capability, advanced naval vessels, most notably the Independence Class LCS for the US Navy, military high speed support vessels for transport and humanitarian relief, such as the Expeditionary Fast Transport (EPF) for the US Navy and the High Speed Support Vessel (HSSV) for the Royal Navy of Oman. “We have put a lot of effort into achieving these results. We have seen our US operations and shipyards going from strength to strength in partnership with the US Navy and locally, the high-speed ferry facility in WA now turning order backlogs into profits,” Singleton added. Austal also designs, constructs, integrates and maintains an extensive range of patrol boats for government law enforcement and border protection agencies globally, including the Cape-Class Patrol Boat for the Australian Border Force and Royal Australian Navy, and the new Guardian Class Patrol Boat for the Commonwealth of Australia. Austal is an Australian-based shipbuilder and global defence prime contractor that designs constructs and sustains some of the world’s most advanced commercial and defence vessels. The company successfully balances commercial and defence projects and celebrates 30 years of success in 2018. Austal has designed, constructed and delivered more than 300 commercial and defence vessels for more than 100 operators in 54 countries worldwide. Australia Forward: Balancing expeditionary and con... - 10 hours ago. PODCAST: Realising the benefits of veterans in the... - 10 hours ago. Frontline Manufacturing achieves ISO certification... - 3 days ago.